Essays are the non-fiction composition that describes, clarify, analyse, examine and argue on a subject. Whether it is an argumentative essay or a persuasive essay, a college essay or a scholarship essay, graduate research essay or a sample business essay, every student has been on the complicated journey of writing the best essays. School and college life are impossible to imagine without paperwork. Although everyone has become tech-savvy writing and typing will always be two different things. Suppose you merely get an hour to write an essay, that too by analysing, identifying, and examining the topic conscientiously. Writing an essay in college in a tight deadline constraint can be difficult and stressful. But to write the best one, you have to understand the question, frame a thesis statement and remain focused. If you work deliberately to improve your essay writing then it won’t be tough. Here are a few tips that you must read and understand to help you write the best essay in the class. First, read and reread the question and interpret the topic before you start to write. Keep highlighting the important words and phrases given in the question. If you are presented with a company balance sheet, and you are asked to state your opinion on it for a business research essay. Be sure that you are clear what you need to write about. Does the question ask you to support, oppose or just to be neutral on a thesis statement? By reading and rereading the essay question, you can avoid running into the problem of finding yourself going down the wrong path when you are about to complete. Essay questions often have some keywords which help you identify the demands of the question. That’s a way to communicate with the audience. Try to identify the keyword so that you can write the best essay as per the demand of the question. An essay question which asks you to compare an issue is different from an essay question that asks you to examine where you have to present arguments for or against. This helps you to understand the purpose of writing an essay. Moreover, it will be much easier to write when you outline the keywords. You are able to write the best essay when you are mindful of each and every word of the question. If you are not able to get what exactly the question is, clarify it from your teacher. Make sure that you have understood the essay question thoroughly otherwise you will end up providing an incorrect essay. Your essay question always suggests a structure for your answer that you must follow while writing. If your essay question asks to share your view on “Divorce destroys family life”. Structure your article as what information should come first, second, third. Prepare a draft of where you are supposed to write the causes, effects on children when parents get divorced and so on. First impressions are so essential. We have heard this so many times. Whether it’s the first meeting with a person or the first sentence on the paper, it has to be interesting enough. The first impression sets the stage for a lasting opinion. The introductory paragraph of your essay should always start with a beautifully crafted or an intriguing sentence so that it piques the interest of the reader to read further. It should be an attention-grabbing sentence. The opening introductory paragraph of your essay should be short and crisp. The introduction of your essay should not be complicated to understand. To get your essay off with a great start, think of a sentence that engages your teacher to read more. Discover any anecdote or a quote that creates a strong beginning. As the saying goes, “You can’t build a great building on a weak foundation. You must have a solid foundation if you are going to have a strong superstructure” same applies when you are writing an essay. Be so clever that your reader can’t stop. Set a stage for your thesis statement as the entire essay hangs on that sentence that comes at the end of the introductory paragraph. When you have prepared an outline and structured your essay, it becomes easy to write step-by-step by looking at the structure. We often forget that we have a limited time frame when we start to write. Students usually think like I will write my essay on the last day of the essay submission deadline. With this, students hardly devote a quality hour or two to complete their essays, the time limit puts an unusual amount of pressure. When you have prepared a structure, don’t pressurize yourself on one statement if you are not able to explain it much. Forget it and move to the next step. It’s important to be fast and not dwell on a point you’re having trouble explaining. It’s very essential to remind yourself to be quick so that you don’t have to face the situation when you don’t have enough time to complete your essay and you get so frantic that you end up not being able to do anything. Don’t panic if you are left with a very short span of time and still have a lot to write. It’s likely to get nervous while writing an essay with the stakes is high, such as a college application essay or a scholarship essay. But don’t panic. In between while writing an essay, stop writing and take a deep breath, tell yourself that you are capable and you will give your hundred percent whatever the consequences may be. Your essay should be qualitative, not quantitative. Use your time well. Grammar and punctuation are some major aspects to judge your writing skills. Perhaps you may not get time to proofread your essay so try to use correct grammar and punctuation as you write. 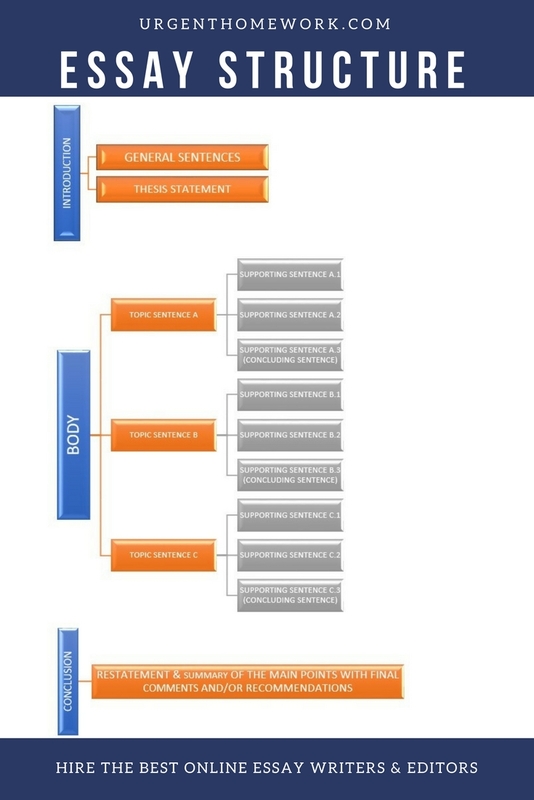 Alternatively, you can also try to utilise the write my essay services by essay writing and editing websites like urgenthomework.com that have the option to hire an expert essay editor to proofread your essay, point out grammatical and punctuation errors as well as suggest modifications to upgrade your essay to a higher grade level. While writing, students often think of the consequences like what if the teacher doesn’t like the essay or what if I commit a major mistake. At this point, your eyes and hands are coordinating but your imagination is somewhere else, this can prove to be the major reason for not being able to write the best essay in class. As said, “You can’t depend on your eyes when your imagination is out of focus.” This kind of thinking distracts the focus and students end up providing unnecessary information and losing points for not including the required information and can end up depreciating the quality of your essay. 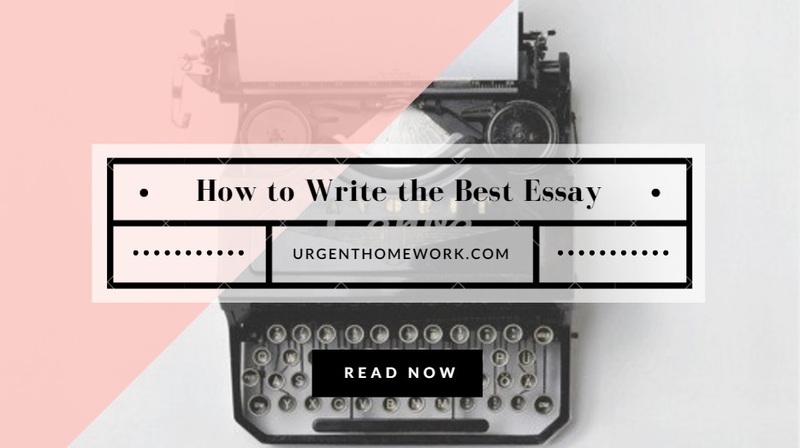 In the end, always remember you simply have to focus on the essay task at hand and do a great quality literature research to write a solid essay that will get you the highest grade. Always give your 100% and stay focused, if you want to be extraordinary then practice is the only key. If you make ‘practice’ your favorite hobby, you can’t just prove to be best in essay writing but in every aspect that you may want. If you feel you are really stuck at some point in essay writing, it does not hurt to ask for help from expert online essay writers and essay editors to help you.